Sometimes, we’ll uncover a pesky problem with a client’s site, then realize that other people might end up frustrated by that problem, too. That’s the origin of our Mobile Source Code Viewer, a tool that helps you pinpoint discrepancies between your desktop and mobile source code. 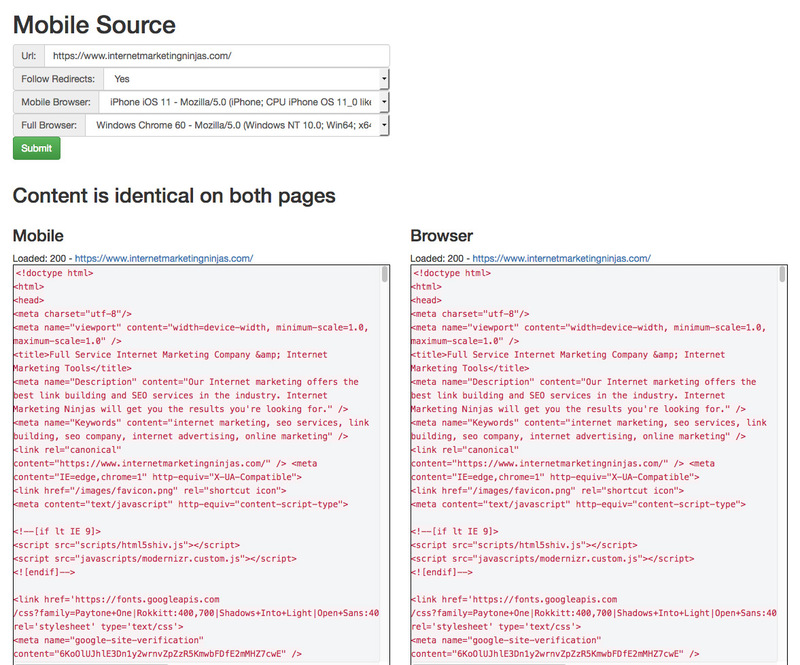 Is your mobile site missing content found on the original? Are technical issues keeping your site from being responsive? Is there a glitch in your mobile source code that’s causing indexation problems? 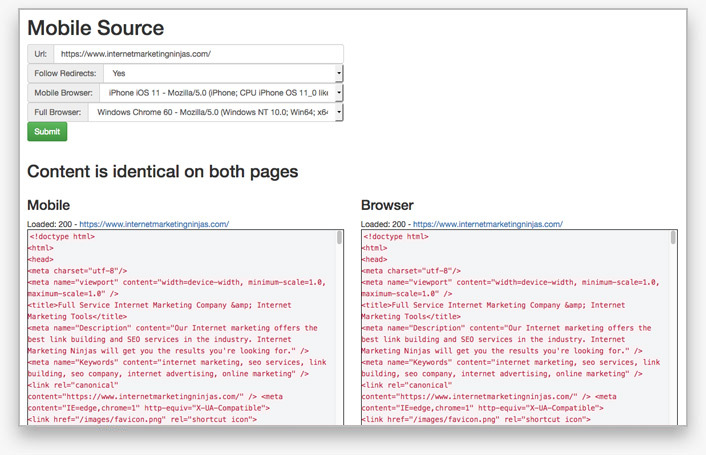 Spot these issues easily with this free SEO tool that allows you to view source code on mobile devices side by side with your desktop source code.